The Monopoly brand is one that has been long-standing, having endured through the years with its start as one of America's favorite board games. And with the advent of gambling, both land-based and online, this brand has expanded. The latest examples of this are two new mobile games that have been produced through the association between Electronic Arts (EA) and Hasbro, which markets the brand. The two offerings combine Monopoly with different games. One of them is Monopoly Bingo, which is obviously a combination between Monopoly and bingo, and Monopoly Slots, which, it goes without saying, provides for the combination between Monopoly and slots. As mentioned, these are mobile games, which means that they can be employed over various devices. 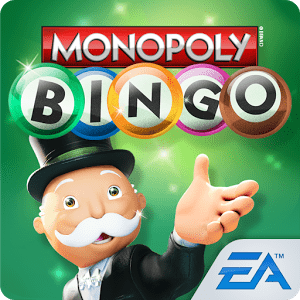 Monopoly Bingo and Monopoly Slots are available for iOS devices, Android devices and the Kindle Fire. These games allow customers to play Monopoly in much a similar fashion as has been familiar to board game players for years; that is, they have all the properties and game pieces intact. According to Chip Lange, the Senior VP and General Manager of EA, "Big risk and huge rewards await them as they build property empires, collect tokens, and spin and bingo their way through the MONOPOLY world we all know and love." There are bonus games inside the slot offering, while those who prefer to play bingo can have as many as sixteen cards entered into the game at any one time. Everyone, of course, knows that Electronic Arts is a world leader when it comes to animation and gaming. These games are both free to download, and there are virtual rewards that come with winning.